Artificial sweeteners form a type of food additives produced synthetically that act as a substitute to sugar. Over past few decades, artificial sweetener has generated wide-ranging interest among the global population seeking to cut down on their calorie consumption significantly. This has been increasingly motivated by the need to either combat obesity or to manage diabetes. The rising prevalence of diabetes as a lifestyle disease in worldwide population has led the demand for artificial sweeteners to gain immense traction in recent years. In developed nations, the uptake of these additives in the food and beverages industry has gained widespread momentum. Especially in the U.S., their use is being promoted by the American Diabetes Association (ADA) and the American Heart Association (AHA). These U.S. organizations are considering the use of artificial sweeteners to have beneficial effects in countering the various risk factors of heart diseases and conditions of metabolic syndrome, in addition to managing diabetes. Furthermore, the rising number of FDA approvals for artificial sweeteners has provide a robust framework for the growth of the market. The smart use of artificial sweeteners has gained popularity among health-conscious population in developing and developed nations. A growing number of people affected with obesity and debilitating effect it has on the routine activities has turned toward artificial sweeteners. However, several health organizations have cautioned people who prefer artificial sweeteners over sugar not to offset the benefits by consuiming others sources of calorie. Another factor that may play caveat is the rising popularity of natural plant-based sweeteners, notably stevia, in emerging economies. Furthermore, the change of taste the addition of artificial sweeteners may bring puts some consumers away from their use. In addition, analysts find their routine use to have a detrimental effect on the food habits as the consumers shun healthy foods consisting of vegetable and fruits. Artificial sweeteners are a variety of substitutes for sugar produced synthetically. Owing to their suitability to diabetic people and low calorie content, artificial sweeteners are rapidly being adopted as a way of averting the consumption of added sugars, which is positively associated with foods with higher calorie count and obesity. Since majority of added sugars are consumed by an average global citizen through products such as soft drinks and other sugary beverages, artificial sweeteners in these beverages are increasingly emerging as a promising alternative. Health motivation among consumers is likely to reach a new high in the coming years with lifestyle-related diseases and obesity achieving pandemic proportions. Increased focus on health and wellbeing has become evident in developed countries, and is increasingly becoming evident in emerging countries as well. Artificial sweeteners are likely to play a key role in supporting this change. It is thus estimated that the global artificial sweetener market will follow a steady growth course over the next few years. According to recent studies, nearly one-third of the global population is overweight or obese. Also, there has been a massive rise in diabetes-related deaths across the globe according to statistics published by the World Health Organization. Thus, healthcare agencies are heaving under the weight of these two diseases and are increasingly focusing on raising awareness regarding the negative impact of excessive intake of sugar in diets. Moreover, consumers across the world are also now making a concerted effort to cut out sugar from their diets, which could make them consequently turn toward alternative sweeteners to fill this gap. Simultaneously, the demand for low-calorie foods has been on an upswing for a few years now; artificial sweeteners are a key ingredient of low-calorie foods. However, despite many consumers being driven toward low-calorie sweeteners, the emphasis on consuming products that are made using natural ingredients is rising. Thus in the near future, synthetically-formulated products will likely be relegated to a certain extent. This is both a threat to makers of artificial alternative sweeteners and an opportunity to explore natural high intensity sweeteners such as stevia. Consumers, in a bid to satiate their sweet cravings, will focus on natural ingredients. For providing a more detailed outlook of the market, the global artificial sweeteners market has been segmented in the report on the basis of criteria such as application, type, distribution channel, and geography. 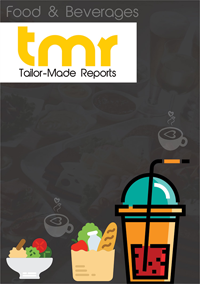 Key applications of the artificial sweeteners market covered in the report include beverages, dairy products, confectionary, and bakery items. Based on types of artificial sweeteners available in the market, the report covers varieties such as saccharin, monosodium glutamate, acesulfame-k, aspartame, and sodium benzoate. Geographically while the North America market for artificial sweeteners currently stands as the most dominant, the global market will only reach its maximum potential when sugar substitutes become a household product in the densely-populated Asian markets such as China and India. However, it is expected to take a few years before this shift becomes visible. Until then, new opportunities will continue to sprout in the artificial sweetener market. Some of the leading companies operating in the global artificial sweeteners market are MORITA KAGAKU KOGYO CO., LTD., McNeil Nutritionals, JK Sucralose, Roquette, Hermes Sweeteners Ltd., NutraSweet Property Holdings, Inc., Sunwin Stevia International, Inc., Ajinomoto Co., Inc., PureCircle, and Zydus Wellness Ltd.